Spring will bring a lot of returning series. What viewers should really be paying attention to, though, are the few premiers hitting cable. This year’s Spring 2016 preview includes plenty of international co-productions, which makes sense as stations swap and borrow material anyway. While some are in miniseries format, all are sure to entertain. 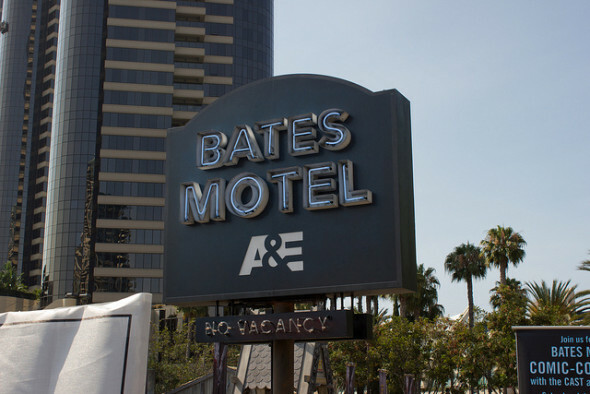 A reboot of the classic “Psycho” setting and prequel of the original film, “Bates Motel” takes the premise of a young Norman and runs with it. The first few seasons established Norman as a likable, if unsure, adolescent: the type that usually grows out of their gawkiness. As the series progresses, however, viewers become more and more unsure of Norman’s character, as well aware of his dark compulsions. The show boasts a surprisingly sparse amount of blood and guts, however, preferring rather to examine Norman’s relationships with his mother, deadbeat brother, and other townsfolk. See where his blackouts next lead him starting March 7 on A&E. Cloning could save lives or melt heaven, depending on who you talk with. One thing is for certain, though: playing a whole pack of them must be hard work. Canadian actor Tatiana Maslany does so beautifully in the sci fi show “Orphan Black.” Focusing on a group of clones living vastly divergent lives, the show certainly plays around with concepts of nature, nurture, and individuality. An interesting premise, the show’s only fault is the outrageous background/mannerisms of one of Maslany’s characters. Watch a cloistered Eastern European hallucinate scorpions, a scientists try to cure their own illnesses, and more… On BBC America this spring. AMC’s thriller set during the Revolutionary War, “Turn” looks at the efforts of George Washington’s spies. The series puts a lot of drama and romance into the mix, good since the show often places characters in situations where they must pick between their families and their ideals. Turn is also one of those rare shows that focuses on its antagonists: the series loves its menacing British officers. Angus Macfadyen’s portrayal of Robert Rogers is particularly a hoot. Watch the most humorless man that ever did fight for England, if nothing else, starting April 25th. Serbian jewel thieves that grew out of the Yugoslav wars… the Pink Panthers are among the world’s most notorious criminals. Starting with a frantic heist that resembles their work, “The Last Panthers” then careens into a narrative that explores the Pink Panthers’ past, present, and investments. While fiction, the series strives for authenticity and never really glamorizes its focus. Instead, the viewers see the harshness of war-torn Serbia and other realities. Selling stolen diamonds is no cakewalk. Watch this pan-European miniseries on Sundance beginning April 13th. A breath of fresh air in the action and suspense genres, Underground focuses on group of escaped slaves on their journey north. Most surprising is that the series is playing on basic cable. Underground does have some decent minds backing it, though. Series creators Misha Green and Joe Pokaski both having credits on shows such as “Heroes.” John Legend also adds his considerable talents to the mix. Viewers should also be in for a great show. Begin the journey north March 9th on WGN.